Trump had been under increasing pressure to call out the groups by name after his previous remarks bemoaning violence on "many sides" prompted criticism from fellow Republicans as well as Democrats. The president described members of the KKK, neo-Nazis and white supremacists who take part in violence as "criminals and thugs" in a prepared statement from the White House. "We must love each other, show affection for each other and unite together in condemnation of hatred, bigotry and violence. We must rediscover the bonds of love and loyalty that bring us together as Americans," he said. His attorney general, Jeff Sessions, said earlier Monday that the violence in which a car plowed into a group of counter-protesters, killing one person, "does meet the definition of domestic terrorism in our statute." He told ABC's "Good Morning America": "You can be sure we will charge and advance the investigation towards the most serious charges that can be brought, because this is an unequivocally unacceptable and evil attack that cannot be accepted in America." 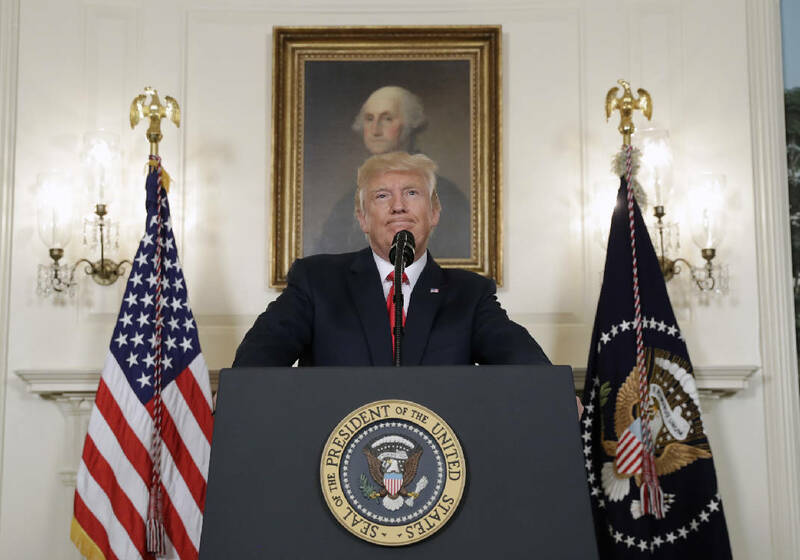 In the hours after the incident on Saturday, Trump addressed the violence in broad strokes, saying that he condemns "in the strongest possible terms this egregious display of hatred, bigotry and violence on many sides, on many sides."